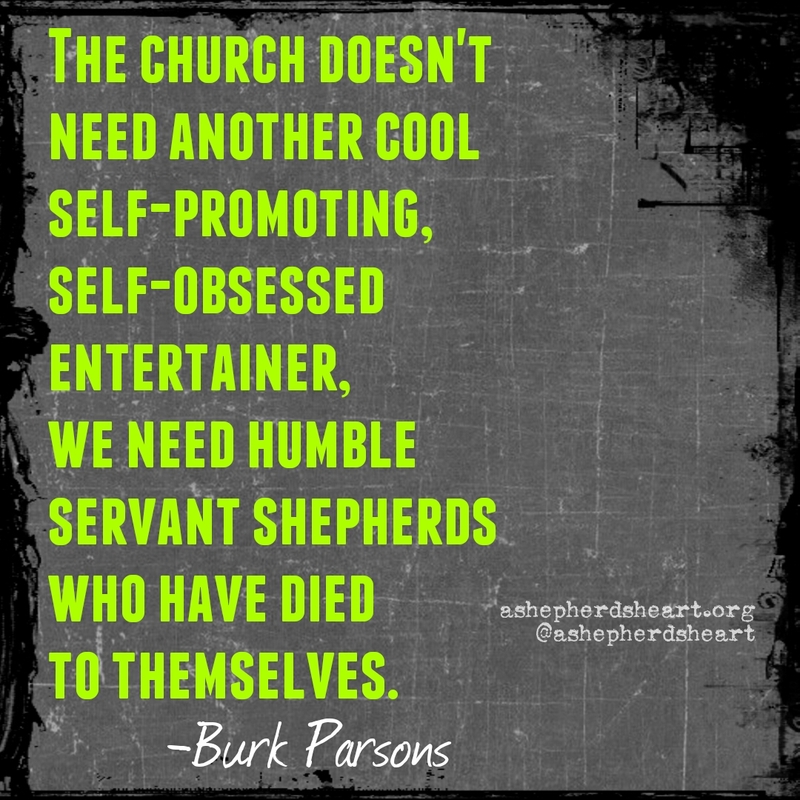 God calls Pastors/Elders/Shepherds to seek to be faithful shepherds of The Flock...He does not call the same to seek after fame and celebrity status. Popularity may happen but staying grounded and faithful in the calling God has placed on your life as a Pastor/Elder/Shepherd and grounded in His Word is vital. My observation of many of today's "Modern" church "leaders" is that they often get this wrong and it flows down to everything they do from communicating and teaching God's Word on down to the flock that they are to shepherd...wrong attitudes and motives. They simply seem to have this backwards! We're to seek to make His name great not our own! In considering the pastoral call, I'm often reminded of How Jesus restored Peter in John 21:15-25 after he denied Jesus three times. His Words are simple, direct and profound and really set the tone for what a shepherd is called to do which is, “Feed my lambs.” (V 15), "Tend my sheep.” (V 16), “Feed my sheep." (V 17)...Feed, Tend and Feed...that's a beautiful summary of the main responsibility Jesus has called any shepherd to perform. Note, Jesus didn't restore Peter by saying, if you love me..."be a celebrity", "be popular", "make sure your sound bites are everywhere and you have your own TV show", "make sure you have a $66 million dollar jet", "make sure you sell lots of your own books", etc. If you haven't figured it out already, I'm being sarcastic on purpose and picking on a specific stereo type and in some cases reality that exists within certain circles within the church. 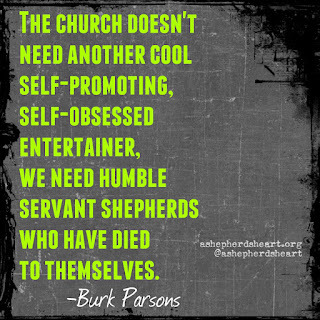 If you're a Pastor/Elder/Shepherd...seek to be faithful to your calling according to The Word of God to be a faithful shepherd and do not seek after the celebrity status. To be fair, if you do become "famous" make sure you make His fame, His Word more famous and well known and downplay your so called fame. Fame is all about how you manage it and the same goes for any material things you're blessed with...it's all about how you manage it as well as your focus toward those things. You will be accountable for the flock you lead and led and He's not interested in your "celebrity" status but He does care about your heart, you minds, your motives and actions! If you're in Christ...we can also fall into the trap of gravitating toward the popularity of someone and it's important we don't make it our focus in other words, don't seek after the so called "Christian Celebrities" rather...seek The Lord Jesus Christ and The Word of God only! Seek to make His name great and steer clear of those who have this backwards! No matter who you are, as a follower of Christ you are His name bearer and it's of utmost importance that you represent Him well and make His name great because He alone is worthy of our praise. He alone is the author and perfecter of our faith and He alone is The One who gave us life and made The Way of salvation! Let's keep our priorities straight and make His Name Great!